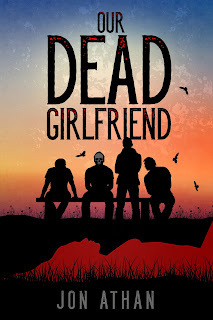 Our Dead Girlfriend is out on January 18th. The novel follows a group of teenagers who discover the dead body of a female high school student in the woods. Although frightened and uncertain, instead of reporting the body to the police, the boys decide to keep the fresh corpse as their girlfriend. This is as much as horror story as it is a story about adolescence, friendship, envy, and loneliness. If you were a fan of Mason's Television, I think you'll enjoy this one. Sympathy for the Widow will release on February 15th. In this novel, Trevor Morrison is murdered at the back of a bus. His killer, Mario Flores, is found not guilty by reasons of insanity and sent to a psychiatric facility. After eight years, Mario is released and he rebuilds his life: he gets a good job, he marries a faithful woman, and he has a beautiful child. Naomi, Trevor's widow, has some sinister plans for Mario, though. She captures him and his family and plans on torturing them until she finds an answer to her question: was Mario actually mentally unstable when he killed Trevor or did he fake it? This is a tale of extreme horror and vengeance. If you were a fan of The Law of Retaliation, this one is for you. At Grandfather's House will likely release on March 22nd. This is my longest book to date. It follows Malcolm, a teenager with a knack for trouble. After a 'prank' lands him in serious trouble, he's sent away to live with his grandparents while while his mother attempts to save him from expulsion and criminal charges. Malcolm believes the stay will be easy—a vacation of sorts—but then he bumps heads with his grandfather, a stern, violent man... Although this book uses a slightly slower pace, this is for fans of The Abuse of Ashley Collins. I already have books planned for April and May, but I'll share more on those later. Keep your eyes peeled for future updates. And, thanks for the support. 2017 was a fantastic year for me and I hope 2018 is better. I wish you the best, too! Keep reading! Buy it now for $2.99 or read it through Kindle Unlimited!